Wine country retreat in coveted East-side Napa with stunning mountain views. 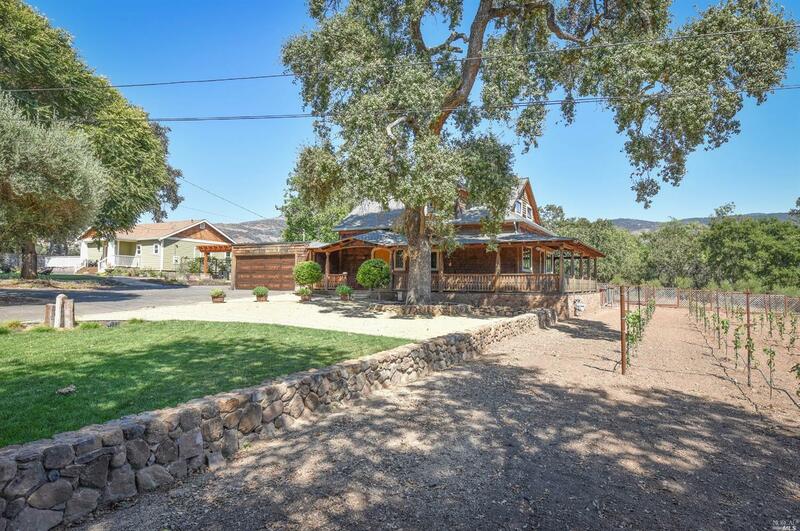 2 homes on 1.0 acre. Custom Craftsman-style main house with a European flair! Main house has 2 Master bedrooms with En-suite baths, upstairs master features a separate space to enjoy the private views. Newly constructed Second home with 1 bedroom, en-suite bath & guest bath plus full kitchen & living area. Upscale, various outdoor living areas plus hobby vineyard.